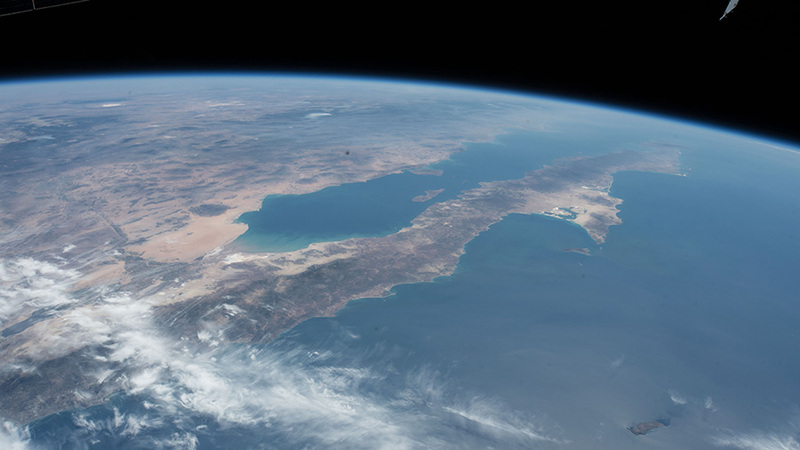 When the SpaceX Dragon cargo craft returns to Earth it will splash down in the Pacific Ocean a few hundred miles off the coast of southern California and Baja California. The SpaceX Dragon space freighter is in the grips of the Canadarm2 robotic arm today as the Expedition 58 crew wraps up cargo transfers inside the vessel. The space trio is also on lab duty conducting a variety of microgravity research aboard the International Space Station. Overnight, robotics controllers remotely commanded the Canadarm2 to grapple Dragon before its release from the Harmony module. Meanwhile, the hatches are still open and Flight Engineers Anne McClain and David Saint-Jacques continue loading time-critical space experiments inside the U.S. cargo craft. The crew will shut the hatch to Dragon Wednesday and disconnect power cables. Then robotics controllers will take over, uninstall Dragon from Harmony overnight and maneuver it into release position. McClain will be in the cupola Thursday monitoring Dragon when it is released from the Canadarm2 around 4:35 a.m. EDT. After its departure, Dragon will orbit Earth a few more hours before splashing down in the Pacific Ocean off the coast of southern California. SpaceX personnel will retrieve Dragon and return it to port where NASA engineers will extract the precious cargo for immediate shipment to investigators around the country. uzay’a , ay’a ve gezegenlere çok fazla ilgim var ama nasanın yayınladığı fotoğraflar hep aklımda şüphe uyandırıyor çünkü kurgu gibi duruyor. Bilim kurgu filmlerindekilerden hiç bir farkı yok. Keşke kendi gözlerimle görebilseydim..
Can we follow the landing on NASA Tv? NASA TV will broadcast the departure live without commentary starting Sunday at 3:15 a.m. EDT. Splashdown in the Pacific Ocean will not be televised. I wonder what this “Special Cargo” is? Cargo returning from space such as completed, time-sensitive experiments for analysis and space station hardware. …an interesting point of view. We are dealing with something I personally grew up following so I have no problem accepting what I see as genuine.